WIZARDS SPORTS CLUB WILL BE HOLDING TRAVEL BASKETBALL TRY-OUTS FOR BOYS AND GIRLS IN GRADES 3-6! 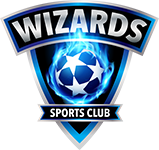 The Wizards Sports Club Basketball Program aims to develop the athlete’s fundamental basketball ability, in order to maximize each player’s unique potential. Utilizing ALL professional trainers and coaches, individual and team focus will be placed on key basketball fundamentals, including passing, dribbling, shooting, as well as strategic areas of the game. Training will take place 1-2 days per week, with teams competing in advanced league play. Teams will also participate in 1 or 2 elite level tournaments. Please note there is no parental involvement! The program begins in the middle of November and runs through the beginning of March. TOTAL COST: $250 (INCLUDES UNIFORM SET). Payment is accepted online only. Be part of the magic and soar to new heights! !